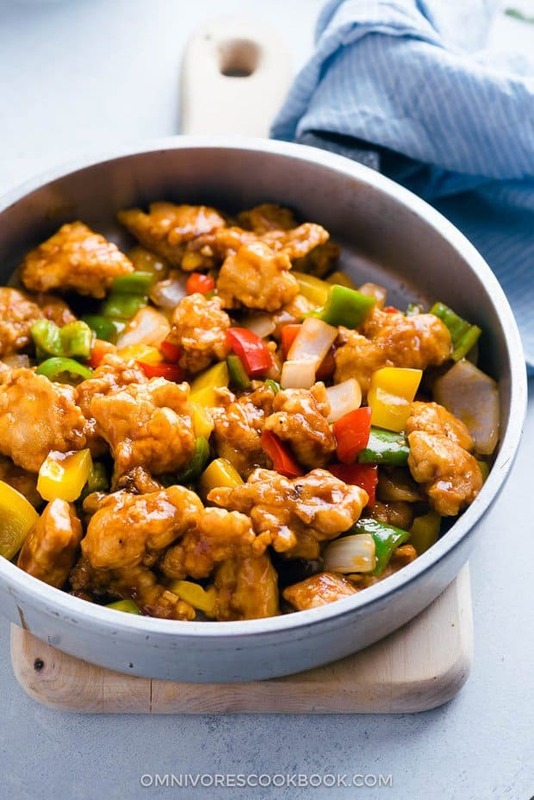 The Best Chinese Recipes are just what you need when you’re craving something delicious and don’t feel like leaving the house to go and get take out! Trust me, I love a good take out meal, but these recipes knock any take out I have ever had out of the water! There really is no comparison. Homemade Chinese food takes the cake every time! 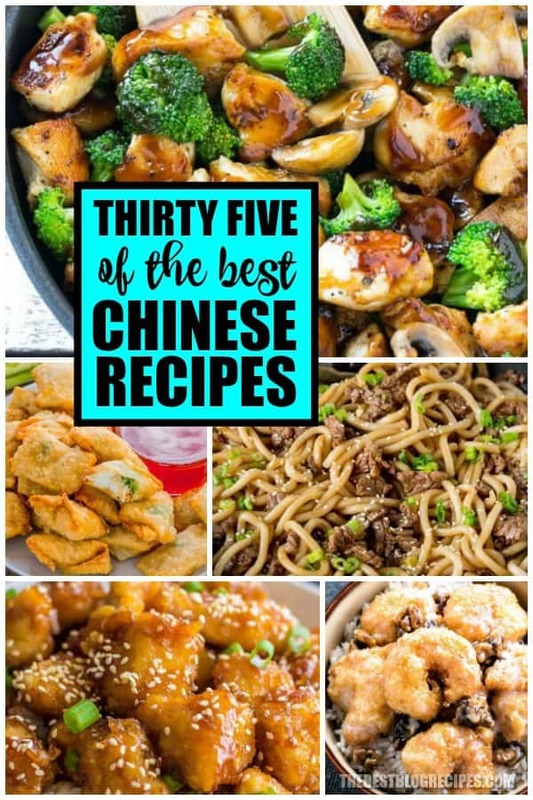 If you love Chinese food as much as we do here at The Best Blog Recipes then this list is for you! 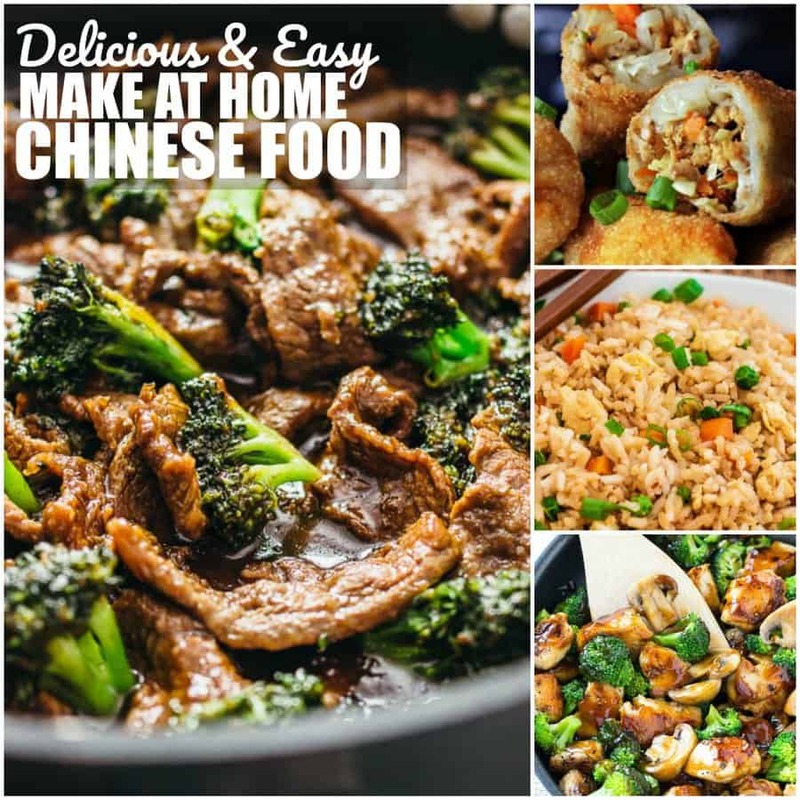 We have gathered some of the MOST delicious and SUPER easy make at home Chinese food recipes that you are going to love. From Slow Cooker Beef and Broccoli, to easy egg rolls. There is something on this list that everyone in your family will enjoy. The best part is they aren’t hard to make and your family will think you slaved in the kitchen to make them their new favorite dinner. Amazing chow mein that puts take out to shame. 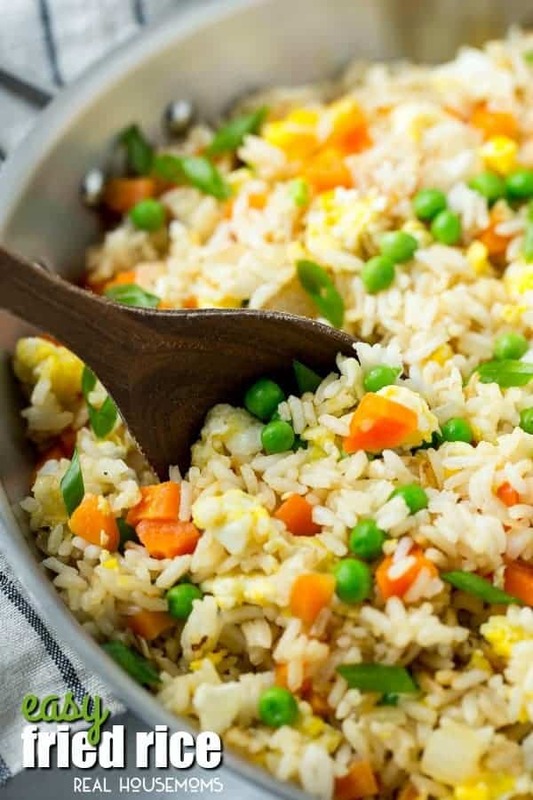 Fried rice recipes that will be your new favorite! Before I ever made a homemade recipe inspired by Chinese takeout, I was a little intimidated. I didn’t know if anything I could make would be as good as the Chinese restaurants I love so much! Well, I was wrong. 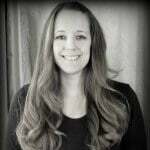 There recipes in this list are so so easy, and they taste amazing. They are within the skill set of pretty much everyone! So, grab your skillet, slow cooker, and a few easy ingredients and be prepared to wow with these amazing dishes. What are you waiting for, go ahead and scroll down the list and check them out! 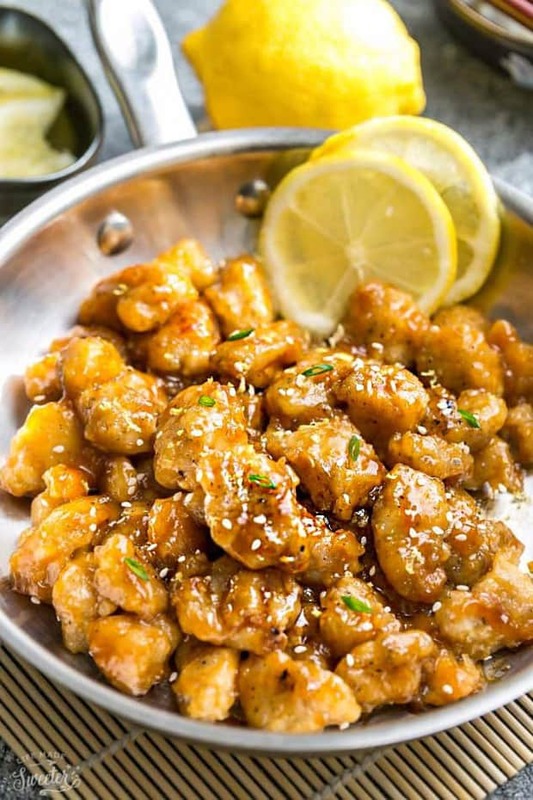 From Life Made Sweeter :: Click HERE for the RECIPE Asian Lemon Chicken – an easy homemade 30 minute version of the popular Chinese Takeout-Style Lemon Chicken. With a light and crispy coating covered in a flavorful sweet, savory and tangy lemon sauce. With gluten free & paleo options. Plus you can even watch a recipe video showing you step-by-step just how to make this easy and delicious recipe! 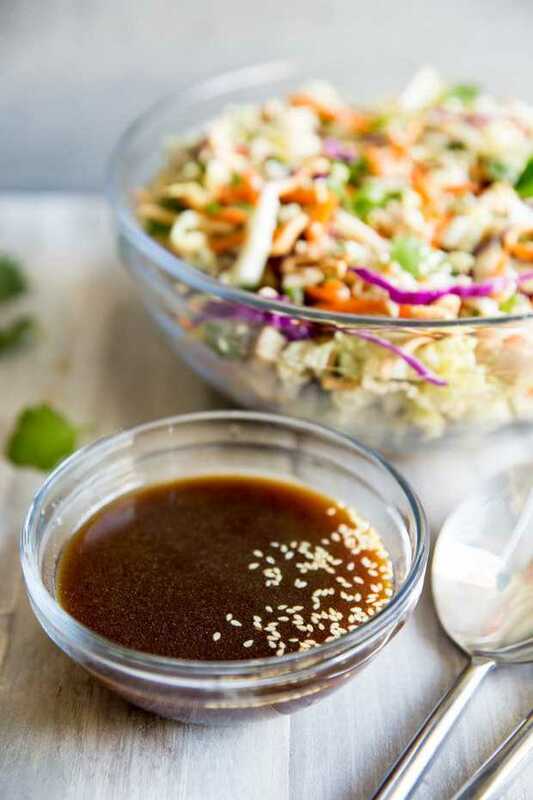 From Culinary Hill :: Click HERE for the RECIPE This recipe is seriously the BEST Asian Salad Dressing you’ll ever make! The most amazing part of this recipe is that it’s made with easy pantry ingredients that you probably already have on hand. You can use this tasty dressing on salads, as a marinade, or even as a dipping sauce! Your family will love it! 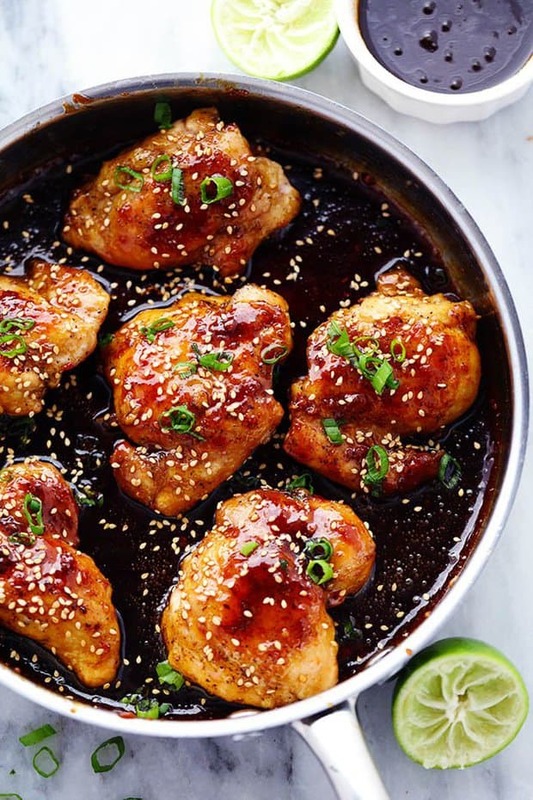 From The Recipe Critic :: Click HERE for the RECIPE This Sticky Asian Glazed Chicken is so incredibly tender and juicy. The chicken breasts get coated in the most delicious sticky sweet asian sauce that you are going to go crazy for! This meal is ready in just thirty minutes making it the perfect weeknight dinner when you don’t have a ton of time to cook for your family — and the flavor is awesome! Put this one on your monthly dinner rotation and your family will thank you for it. From Bless Her Heart Y’all :: Click HERE for the RECIPE This is an easy and quick Asian – inspired dinner recipe that takes less than 30 minutes to make. It’s light and satisfying, with a combination of sweet and tangy flavors! It’s the perfect healthy meal when you need to feed your family something delicious and don’t have much time to spend in the kitchen! From The Recipe Critic :: Click HERE for the RECIPE Love fried rice? So do we! It goes perfectly with so many different Chinese Dinner Recipes! 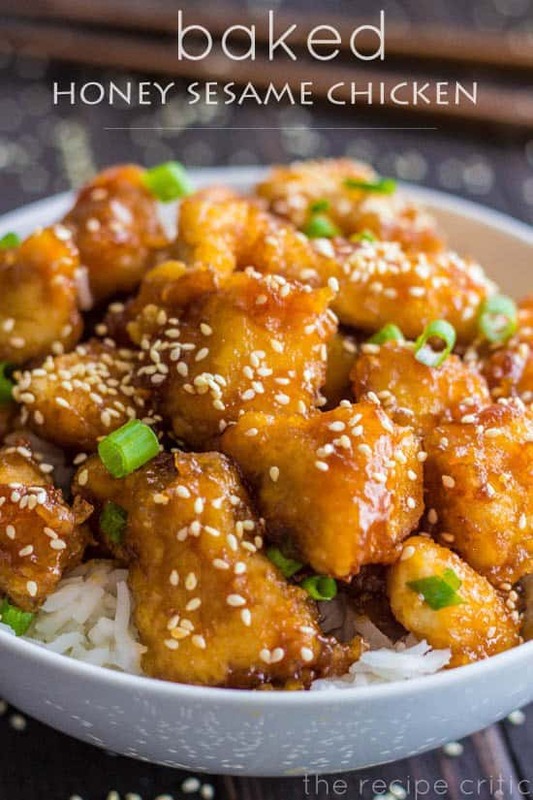 From The Recipe Critic :: Click HERE for the RECIPE This Baked Honey Sesame Chicken recipe is the recipe that conquers all other recipes. It’s easy to make and will have your family begging for a second serving. 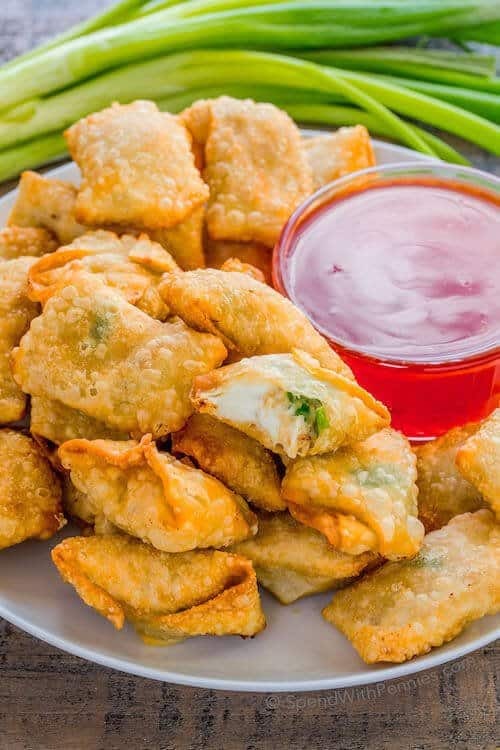 From Baking Beauty :: Click HERE for the RECIPE Crab Cream Cheese Wontons Super crispy wontons stuffed with a juicy and flavorful crab filling. Cheaper and faster than takeout! Optional Sweet & Sour dipping sauce recipe included. 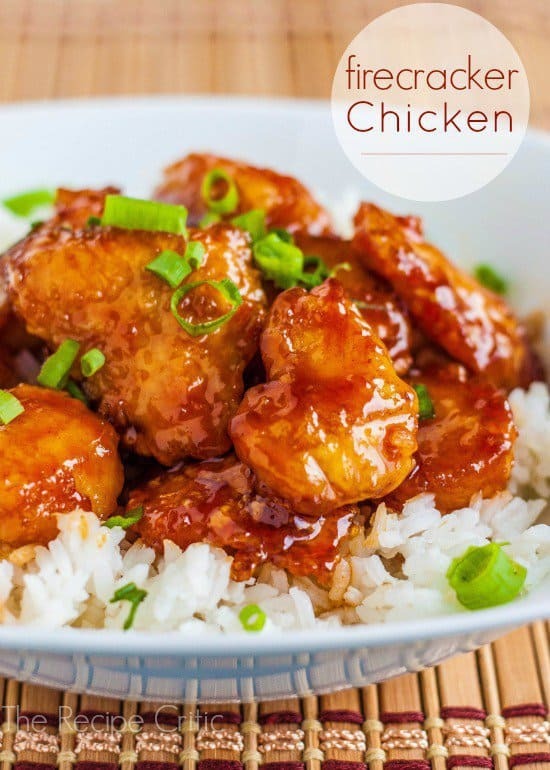 From Tidy Mom :: Click HERE for the RECIPE This easy Spicy Orange Chicken recipe is full of the amazing flavor you love, without restaurant-style calories! From The Recipe Critic :: Click HERE for the RECIPE Amazing restaurant quality chicken that has just the right amount of sweet and the right amount of spice! 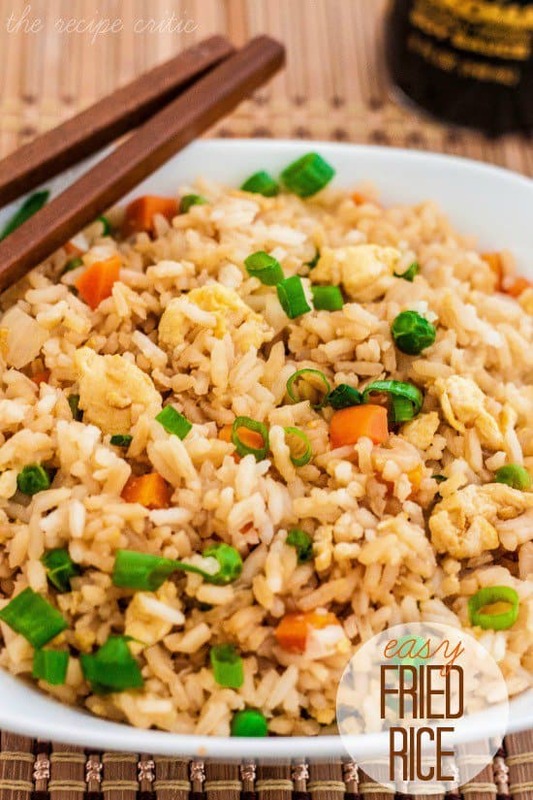 From Real Housemoms :: Click HERE for the RECIPE This Easy Fried Rice is a great reason to skip the take out! It’s full of veggies and is WAY better than what you’d get at a restaurant! 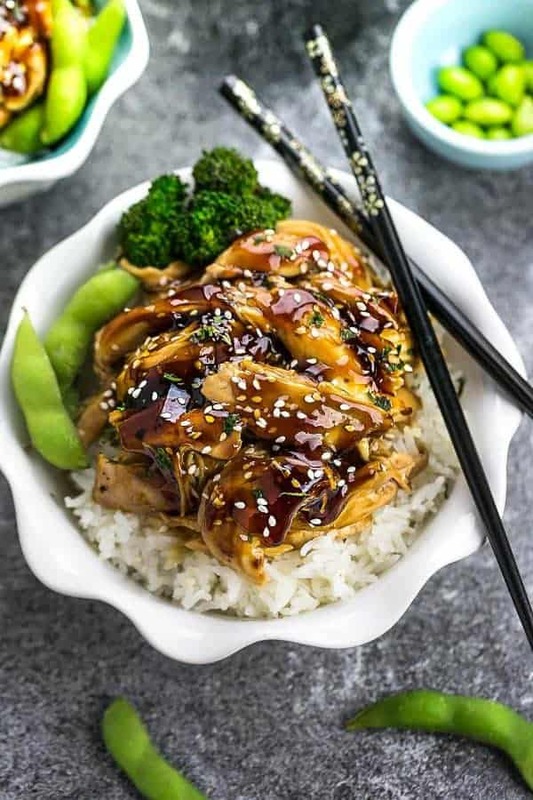 From Life Made Sweeter :: Click HERE for the RECIPE Slow Cooker Teriyaki Chicken – this recipe is the perfect set and forget meal with a delicious homemade teriyaki sauce. Best of all, just 10 minutes of prep made in a crock-pot or your Instant Pot pressure cooker. Plus step-by-step recipe video! 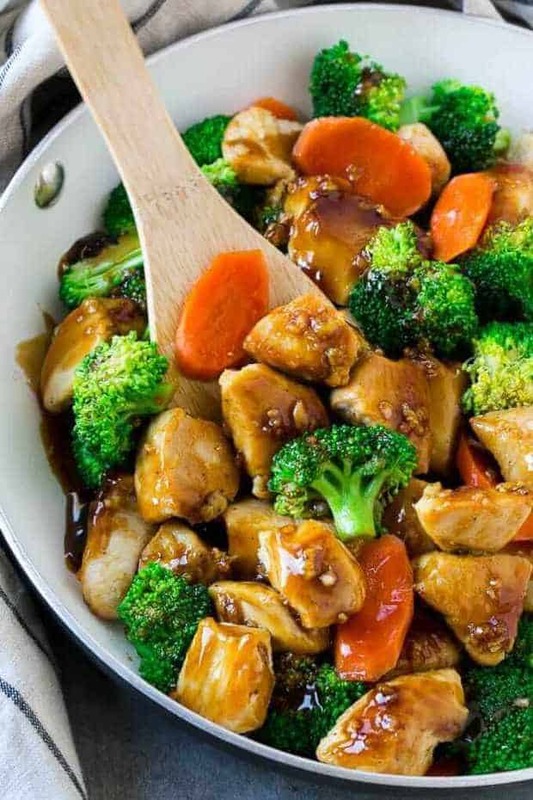 From Dinner at the Zoo :: Click HERE for the RECIPE This recipe for chicken and broccoli stir fry is a classic dish of chicken sauteed with fresh broccoli florets and coated in a savory sauce. 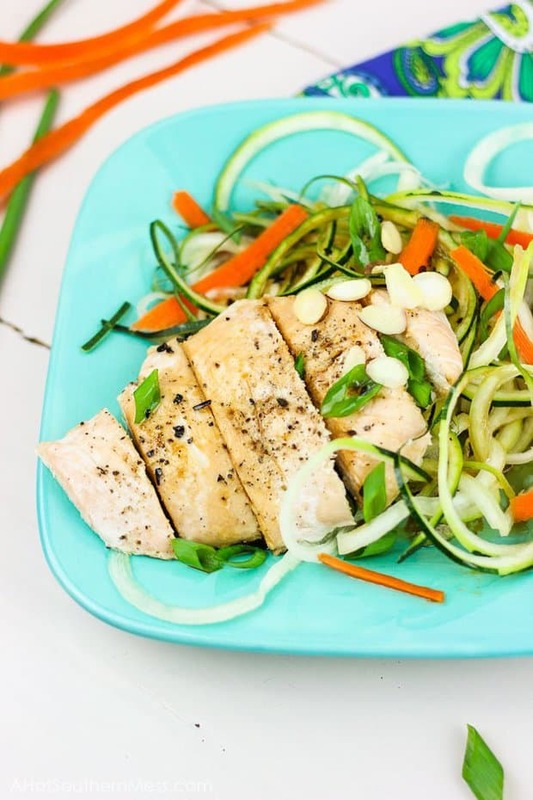 You can have a healthy and easy dinner on the table in less than 30 minutes! 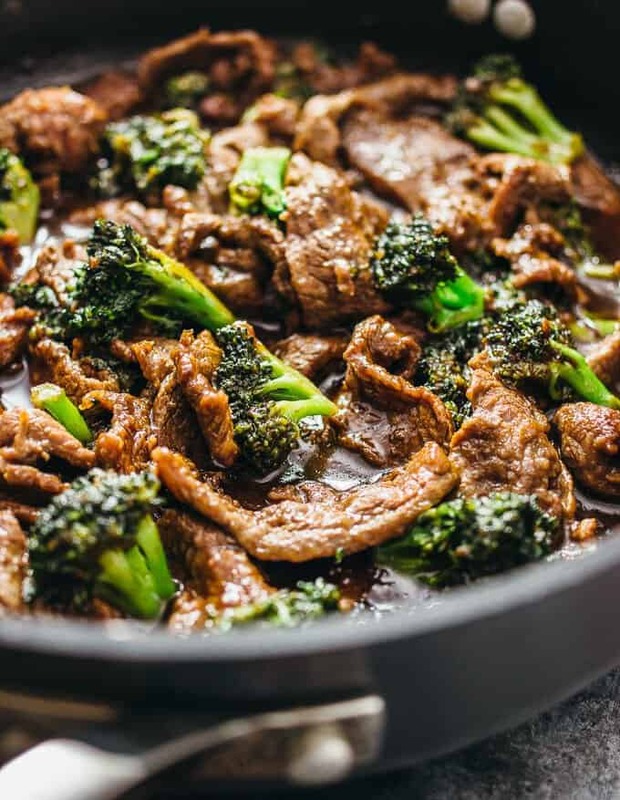 From Savory Tooth :: Click HERE for the RECIPE Try this easy recipe for authentic Chinese beef and broccoli with white rice. 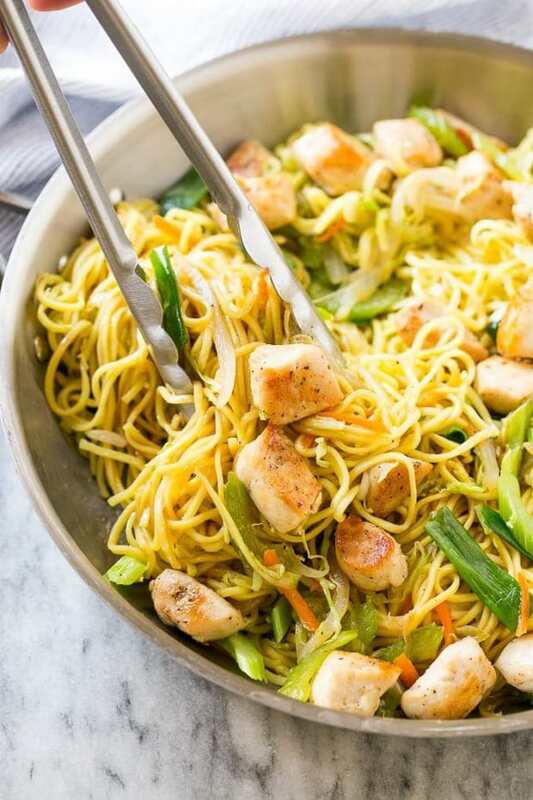 From Dinner at the Zoo :: Click HERE for the RECIPE This easy chicken chow mein recipe is full of seasoned chicken, veggies and noodles, all tossed together in a savory sauce. It’s so much better than take out! 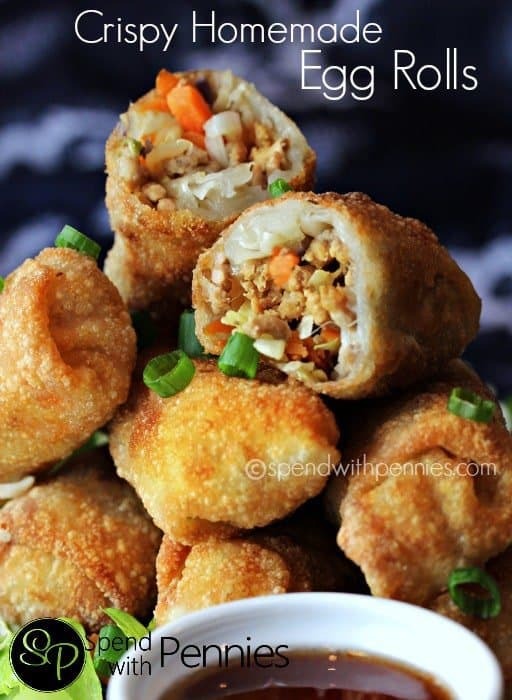 From Spend With Pennies :: Click HERE for the RECIPE When we go for dinner, egg rolls is one of my favorite things to order! I had NO idea they’d be so easy to make at home! 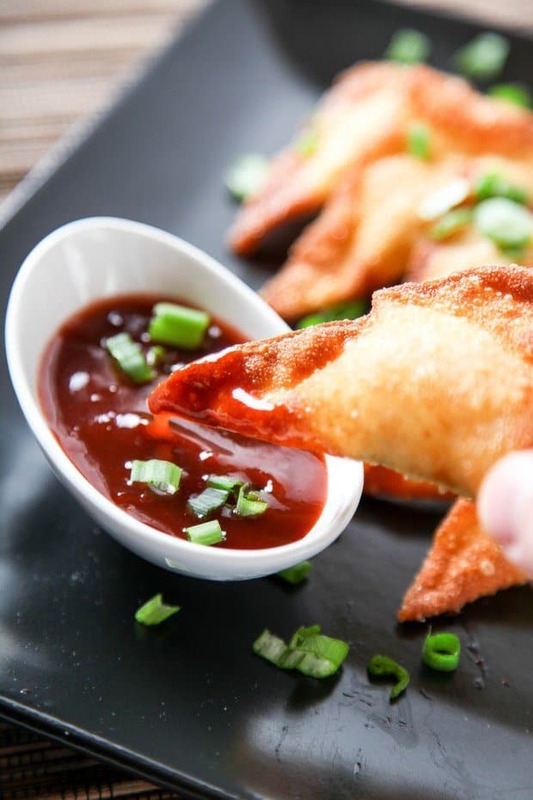 From Spend with Pennies :: Click HERE for the RECIPE This Crab Rangoon recipe contains a simple mixture of crab, cream cheese and seasonings wrapped in a wonton wrapper and fried crispy (or baked in the oven)! From Together As Family :: Click HERE for the RECIPE This Crispy Honey Chicken from Together as Family turns out so incredible and delicious! The chicken gets coated in seasoned flour and then dipped in buttermilk and fried until super crispy. Then you put a sweet honey soy sauce glaze on it and watch out because it makes one heck of a dinner that you’ll really love! 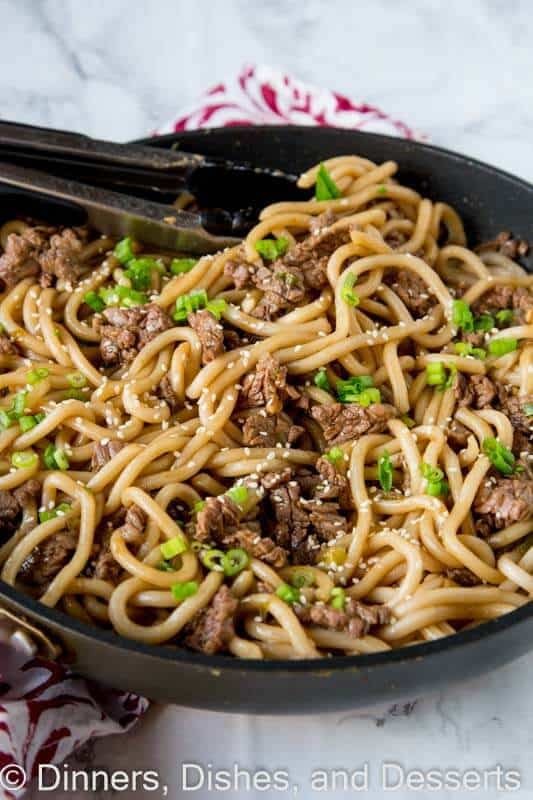 From Dinners, Dishes, and Desserts :: Click HERE for the RECIPE Garlic Beef Noodle Bowls – an Asian style noodle bowl with lots of garlic, that is ready in just minutes! Great for busy nights. 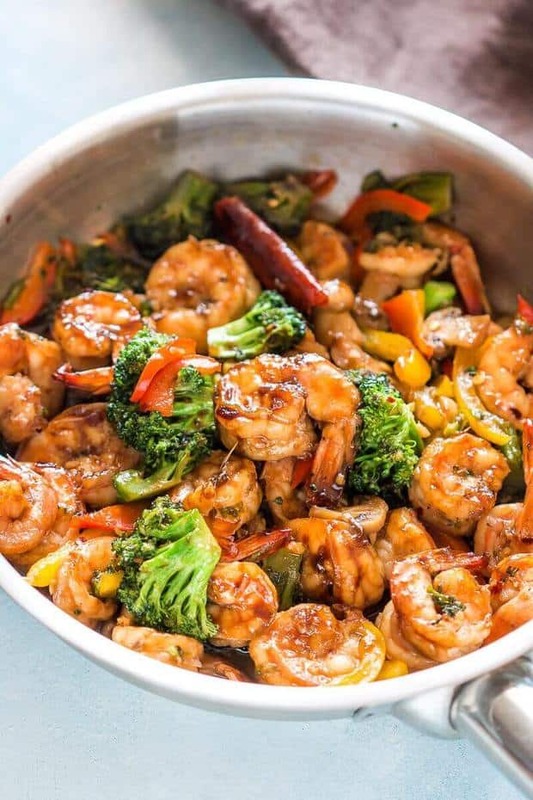 From My Food Story :: Click HERE for the RECIPE This teriyaki shrimp broccoli stir fry is ready in 30 minutes and is the perfect asian dinner when you want something quick and easy! 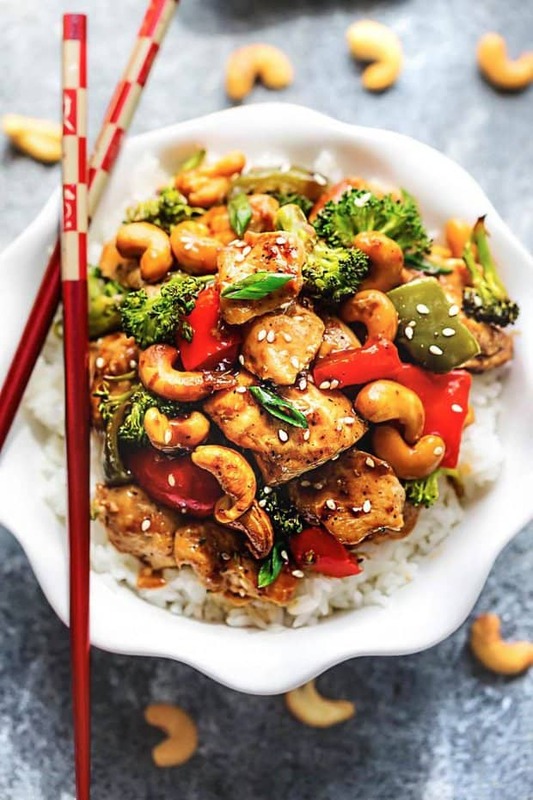 From The Recipe Critic :: Click HERE for the RECIPE Sheet Pan Cashew Chicken is an easy weeknight meal with all the amazing flavors of the popular takeout dish. Tender chicken surrounded by crisp and tender veggies with crunchy cashews and an incredible sweet and savory sauce. 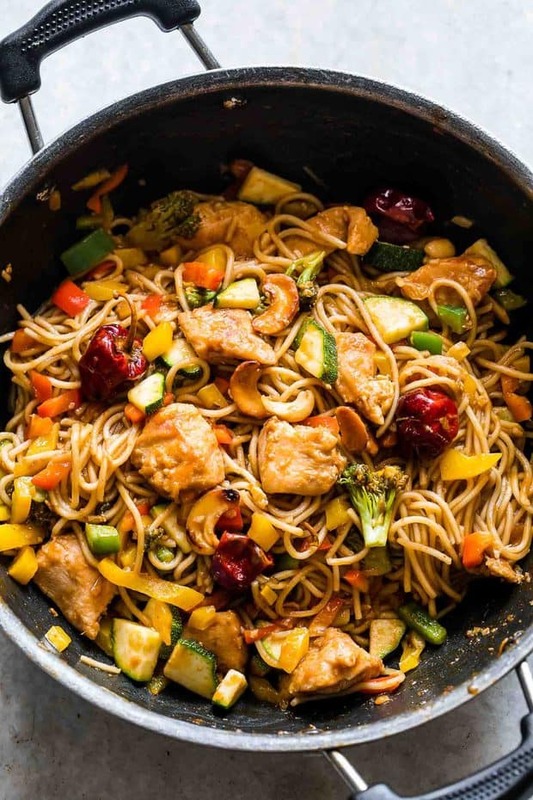 From My Food Story :: Click HERE for the RECIPE Chinese Cashew Chicken Noodles Stir-Fry is a delicious take on your favourite take-out cashew chicken recipe. Crispy bits of chicken and noodles are tossed in a super flavourful, spicy sauce and roasted cashews for a meal that the whole family will love! 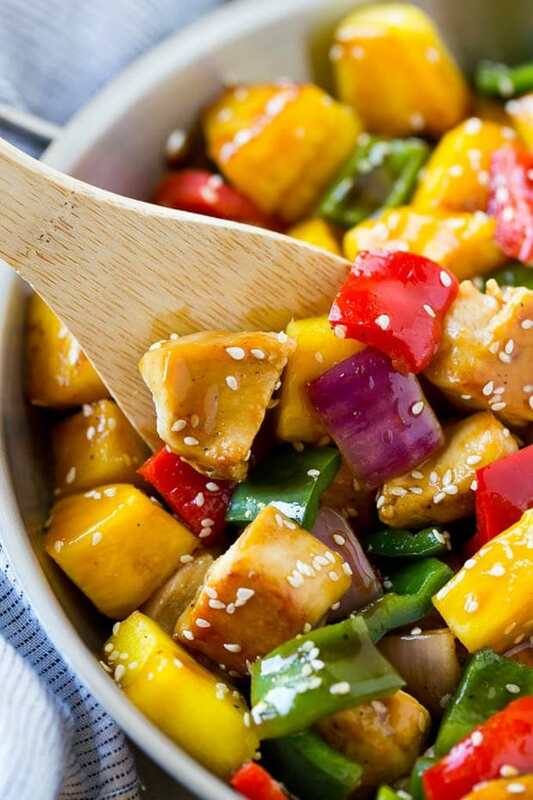 From Dinner at the Zoo :: Click HERE for the RECIPE This Teriyaki Chicken Stir Fry from Dinner at the Zoo is full of tender chicken, colourful veggies, and fresh pineapple! 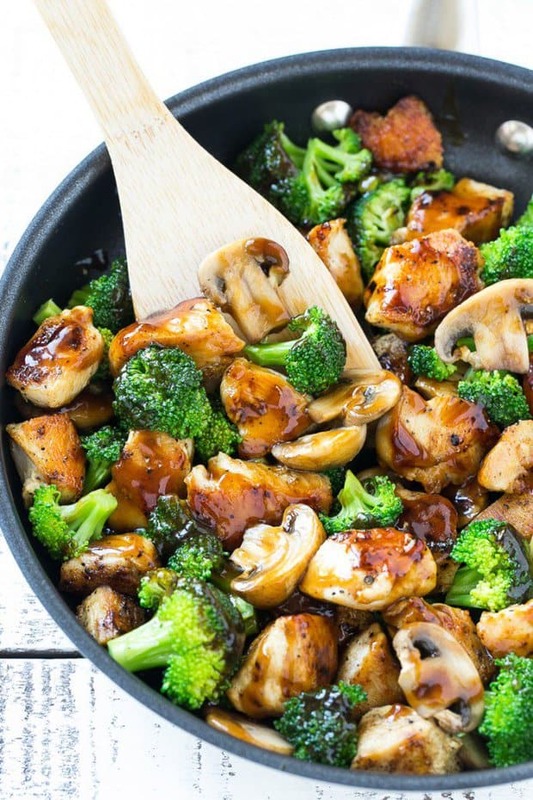 It’s all tossed in the most amazing sweet and savory homemade teriyaki sauce! 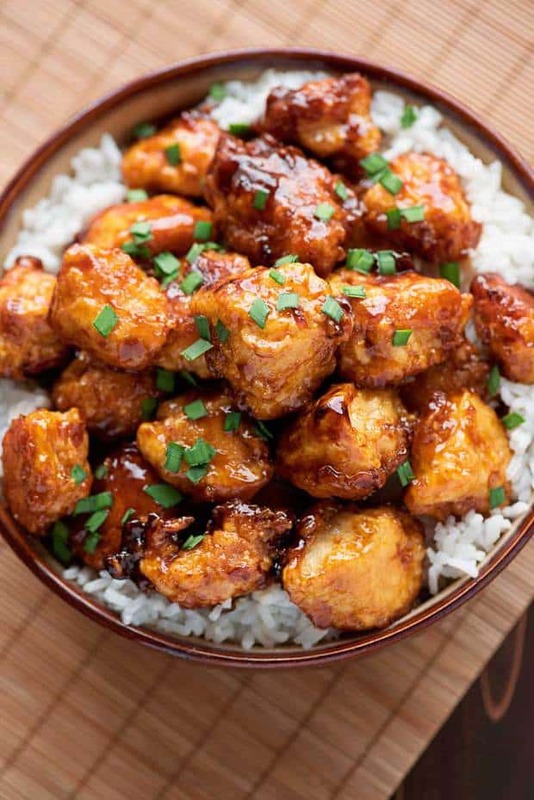 From Bless Her Heart Y’All :: Click HERE for the RECIPE This One-Pan Baked Gluten Free General Tso’s Chicken from Bless Your Heart Y’all tastes fresh and delicious! It’s a healthier dinner option because it’s baked in the oven — not wok fried like most Chinese dishes. 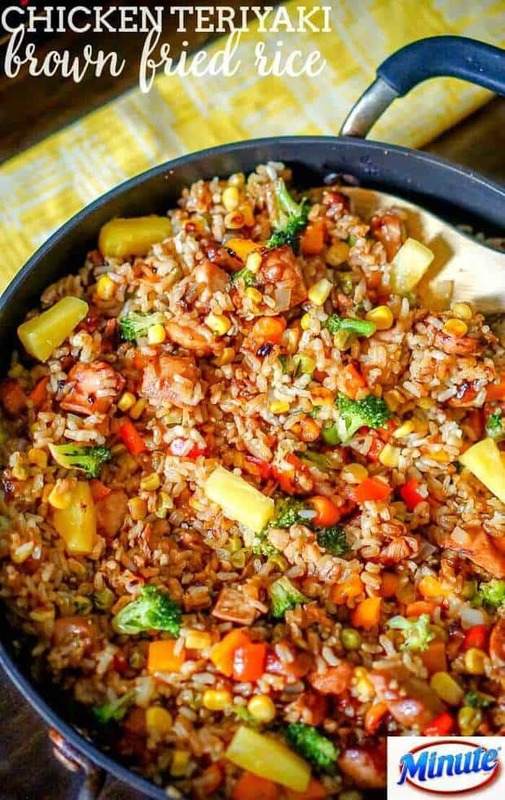 From The Love Nerds :: Click HERE for the RECIPE This delicious Chicken Teriyaki Fried Rice dinner recipe from The Love Nerds is simple to make, delicious, and only uses one pan which makes clean up a breeze! Make it for lunch or dinner and watch how fast your family gobbles it all up! 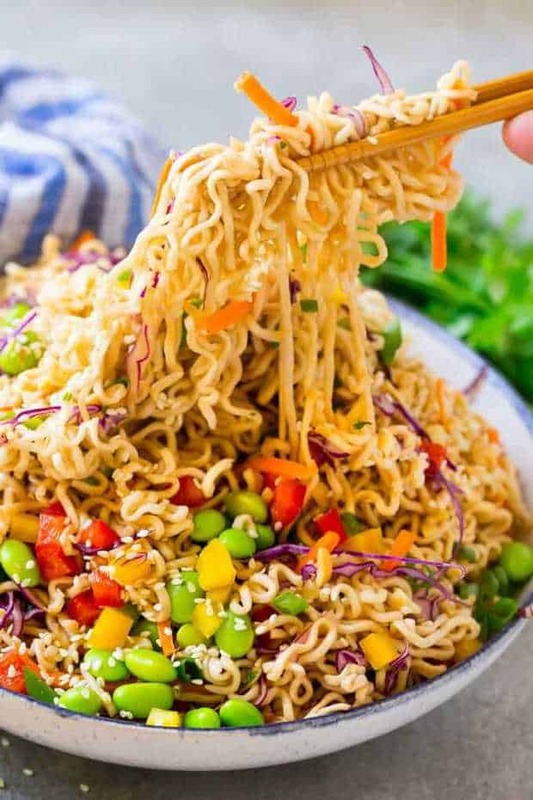 From Dinner at the Zoo :: Click HERE for the RECIPE This easy Asian noodle salad recipe is ramen noodles and colorful veggies all tossed in a sesame hoisin dressing. The perfect side dish for any summer celebration! 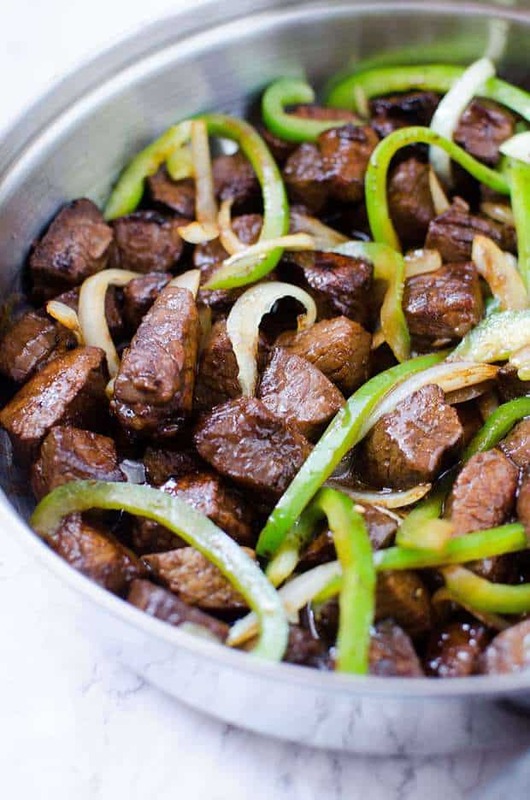 From My Incredible Recipes :: Click HERE for the RECIPE Mom’s Asian Steak Peppers and Onions from Incredible Recipes from Heaven is one of the easiest dinners you can make! It is wonderful served over rice, with potatoes, or just by itself! 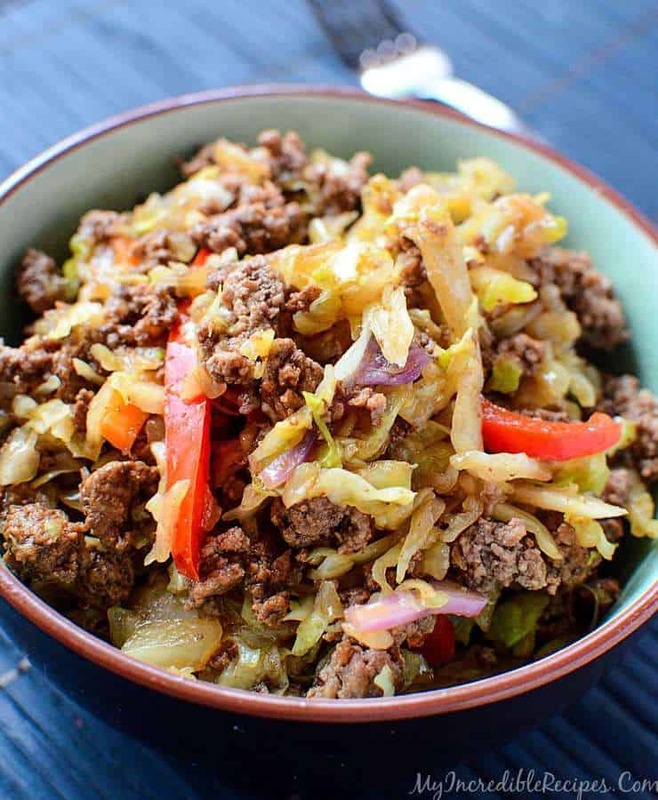 From My Incredible Recipes :: Click HERE for the RECIPE This Easy Asian Beef and Cabbage Stir Fry from Incredible Recipes from Heaven will be a new staple meal in your house once everyone tries it! 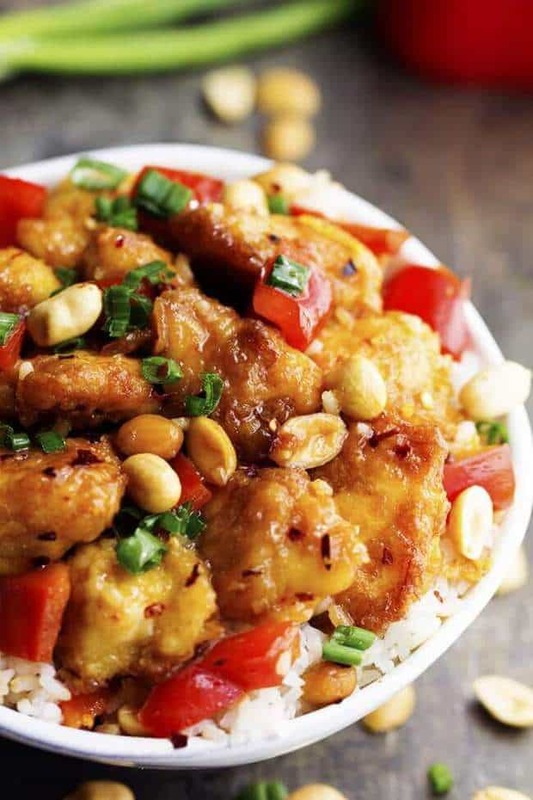 From The Recipe Critic :: Click HERE for the RECIPE Delicious breaded chicken coated in a sweet and spicy sauce with peppers and peanuts hidden throughout. This is WAY better than any takeout you will have! 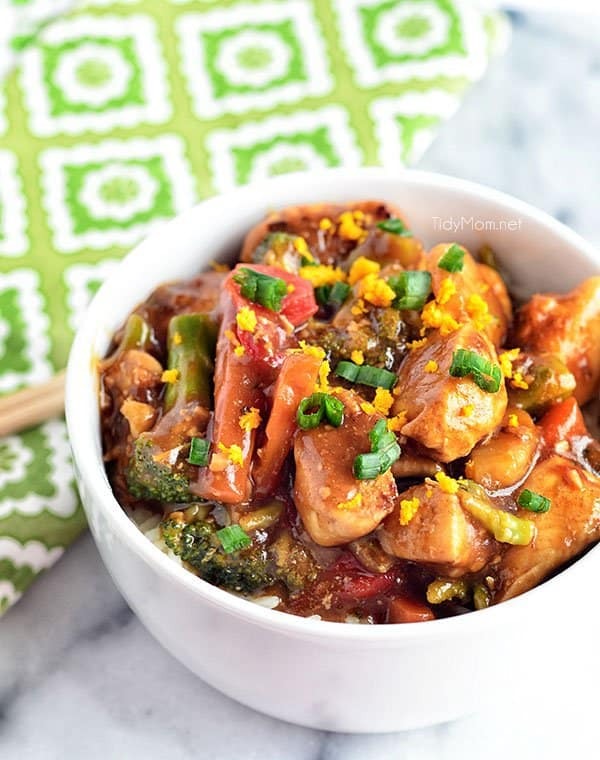 From Dinner at the Zoo :: Click HERE for the RECIPE This honey garlic chicken stir fry recipe is chicken and vegetables, cooked to perfection and tossed in a sweet and savory sauce. 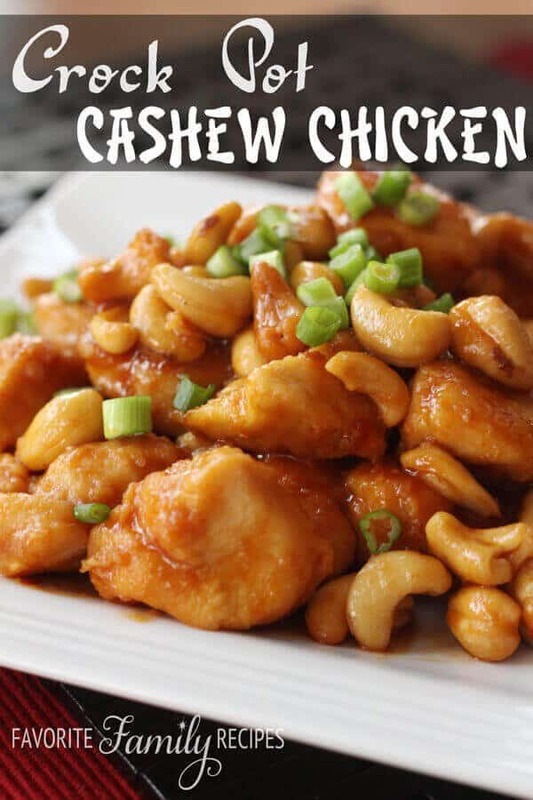 From Favorite Family Recipes :: Click HERE for the RECIPE This Crock Pot Cashew Chicken is better than most Chinese takeout cashew chicken. Throw it all in the slow cooker and have a delicious, no fuss dinner! 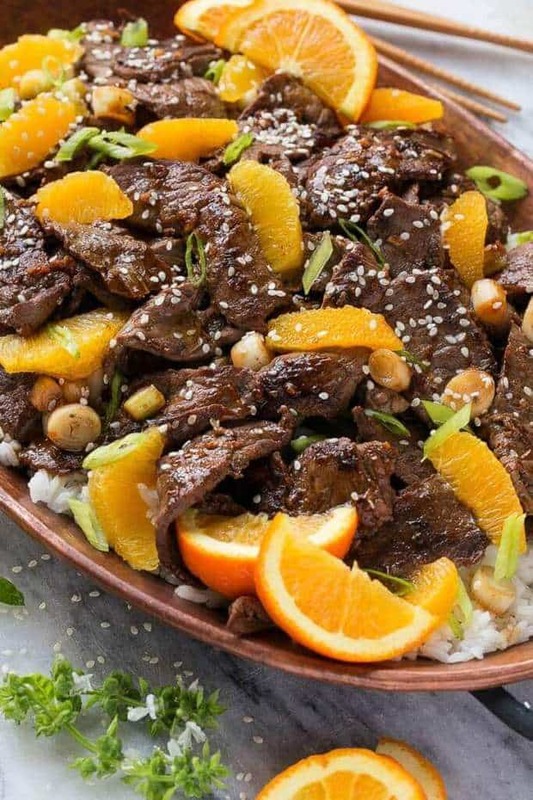 From Dinner at the Zoo :: Click HERE for the RECIPE Stir fry is pretty much the ultimate quick meal – it cooks up in minutes and is typically fairly healthy too. 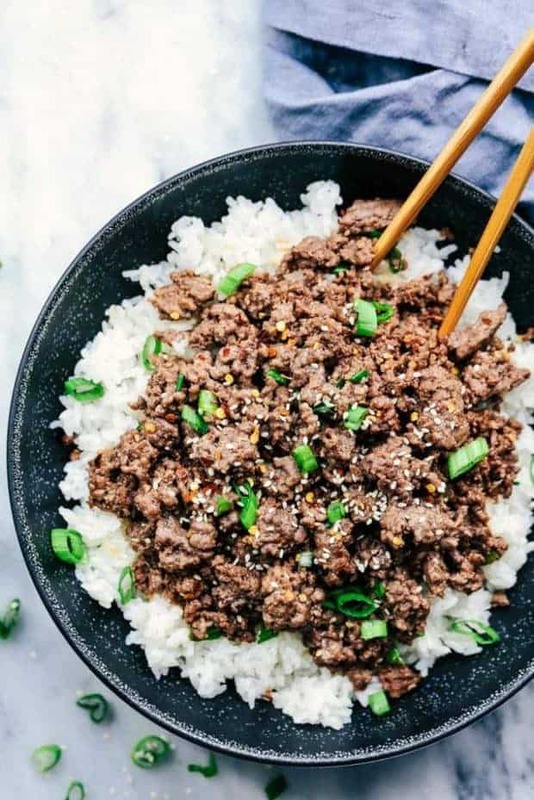 From The Recipe Critic :: Click HERE for the RECIPE Korean Ground Beef and Rice Bowls are so incredibly easy to make and will become a family favorite! This makes the perfect weeknight meal. From The Recipe Critic :: Click HERE for the RECIPE This Sheet Pan Thai Glazed Salmon with Vegetables from The Recipe Critic is an incredible all in one meal with the best flavor! 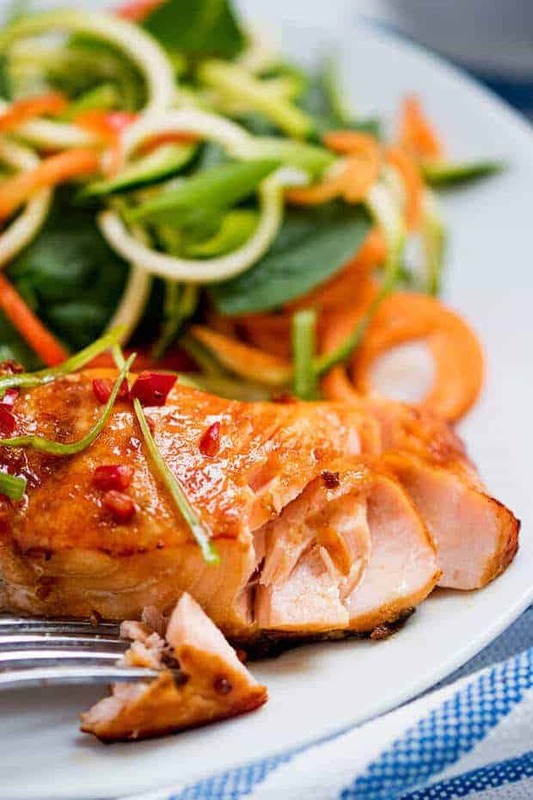 Melt in your mouth Salmon gets glazed with a sweet thai sauce and surrounded by crisp and tender veggies! This meal is a winner every single time! 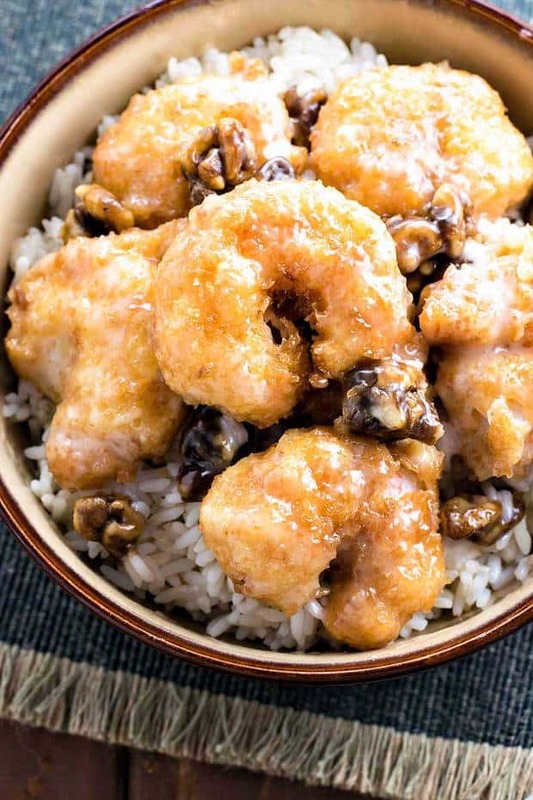 From The Recipe Critic :: Click HERE for the RECIPE Sticky Honey Garlic Shrimp from The Recipe Critic are coated in the most amazing stick honey garlic butter soy sauce. 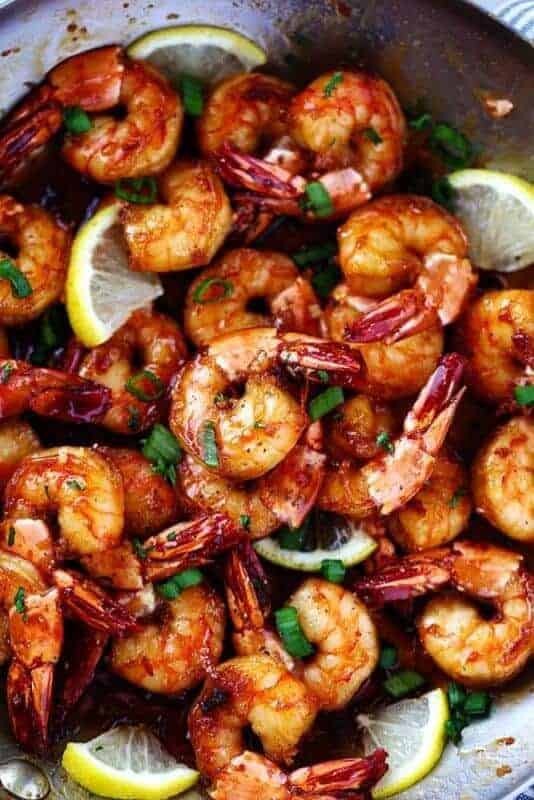 It coats the shrimp perfectly and creates such a flavorful and sticky sauce! This is a quick 20 minute meal that you will make again and again! 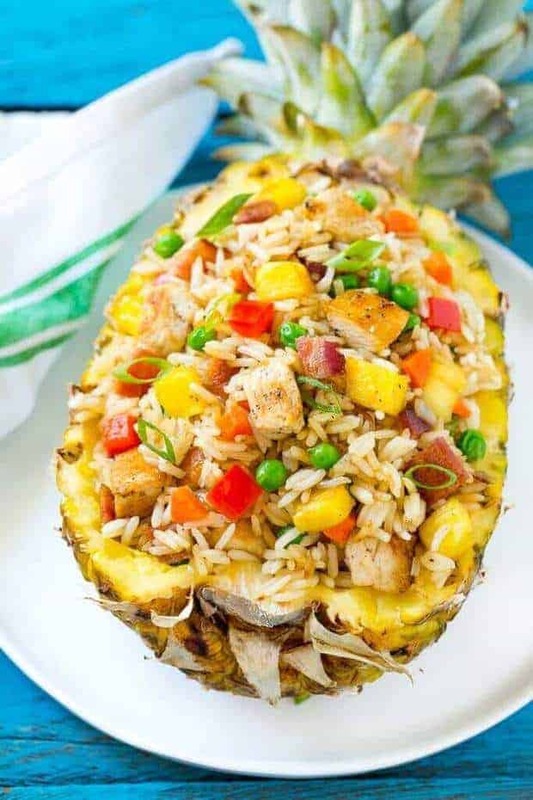 From The Dinner at the Zoo :: Click HERE for the RECIPE This recipe for Pineapple Fried Rice is loaded with chicken, bacon, crunchy veggies and juicy pineapple. A simple and easy main course or side dish that’s much better than take out! 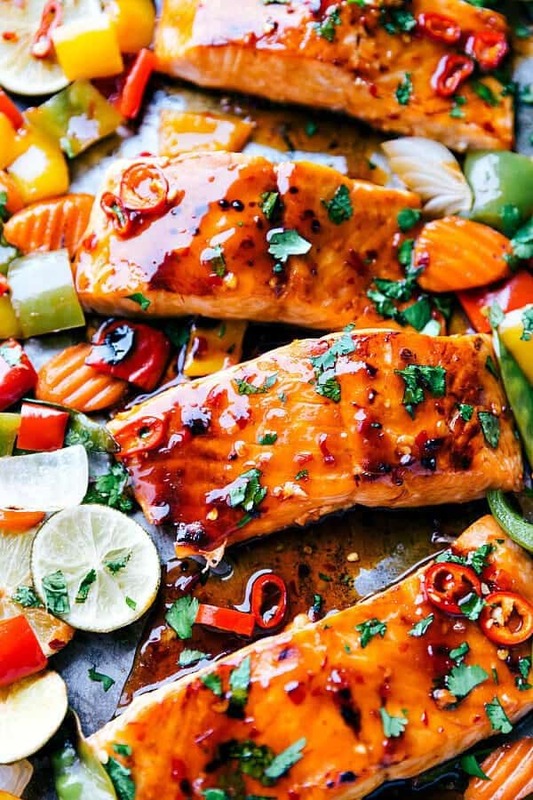 From Simply Stacie :: Click HERE for the RECIPE This Honey Garlic Baked Salmon from Simply Stacie uses a quick marinade, then 15 minutes in the oven, and you’ve got a super healthy delicious dinner that everyone will eat right up! 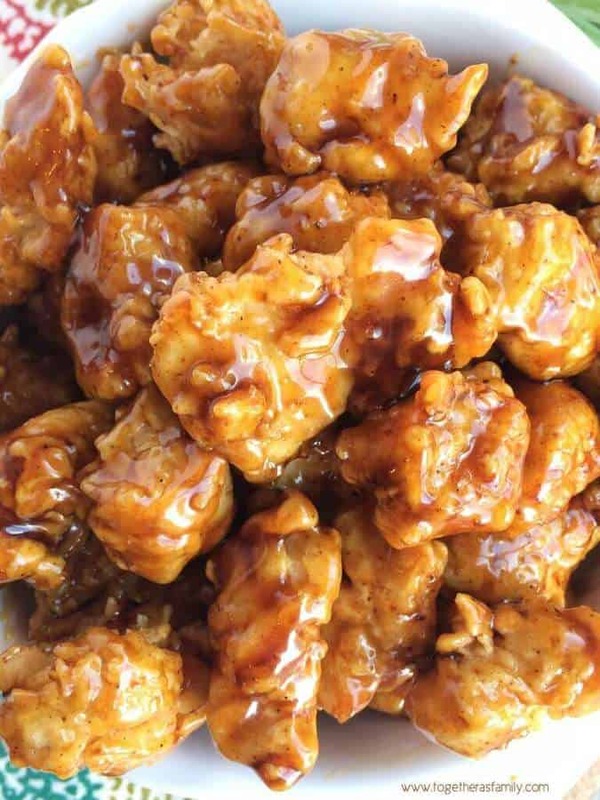 The honey-garlic flavor means it’s even a total hit with picky eaters too! 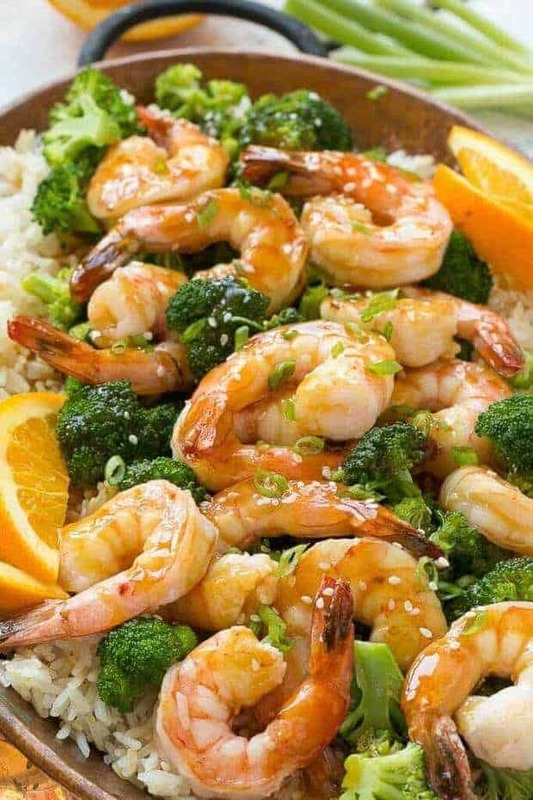 From Dinner at the Zoo :: Click HERE for the RECIPE This Orange Shrimp and Broccoli with Garlic Sesame Fried Rice recipe from Dinner at the Zoo is the perfect quick and easy meal for a busy weeknight — or for entertaining guests. 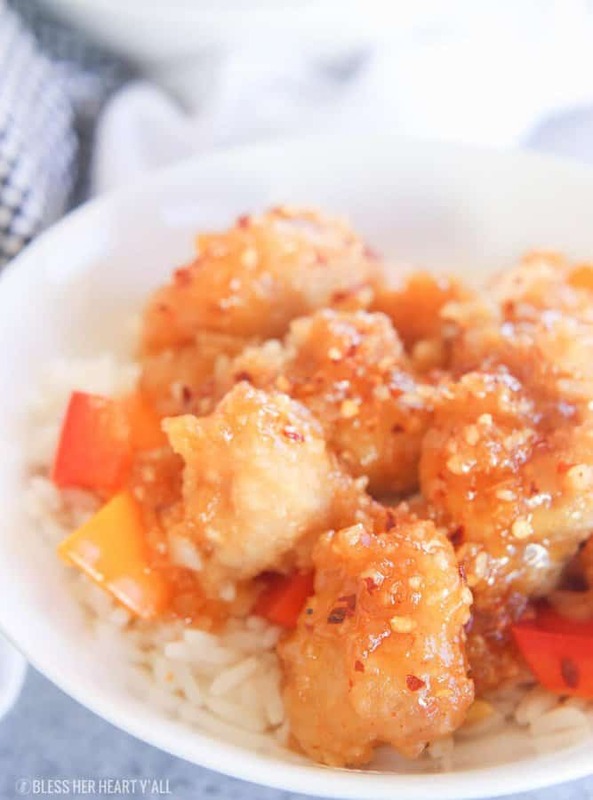 The sweet and tangy orange sauce only has 4 ingredients and the garlic sesame fried rice elevates the dish into something special! 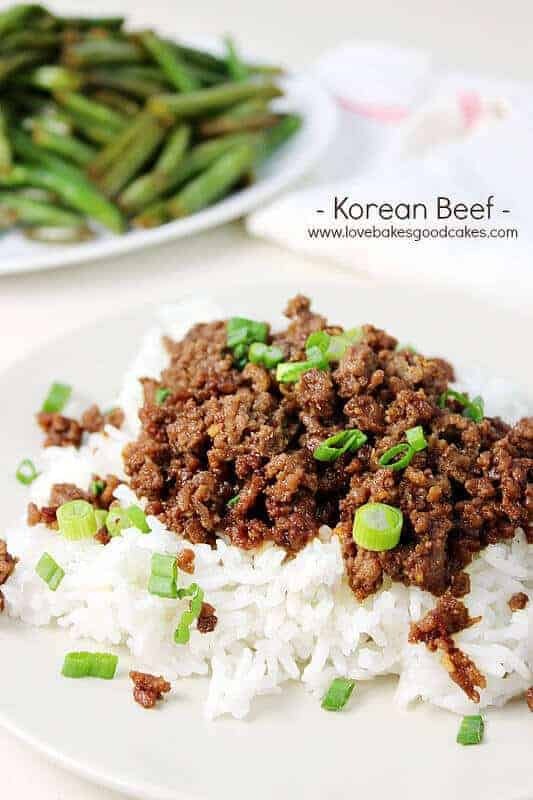 From Love Bakes Good Cakes :: Click HERE for the RECIPE This Korean Beef recipe from Jamie over at Love Bakes Good Cakes is the perfect weeknight dinner that is easy to make, super flavorful, and budget friendly too! It is served over rice and topped with green onions for a meal that you can quickly prepare when you don’t have a ton of time to cook. Serve it with your favorite vegetable on the side and you have a meal that your family will really love! Thank you so much for such delightful recipes. Each one I have tried has turned out perfectly (a miracle for me!) My family’s favourite so far is the BAKED KUNG PAO CHICKEN. Chinese noodles are really delicious. It is one of the best foods I know. The chow mein looks like so mouthwatering. Thanks for sharing this recipe with us.